With three generations of service, we have been providing the families of Park Ridge and neighboring communities with personal, professional, and dignified service. 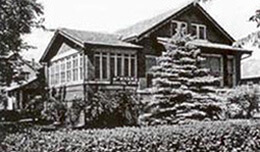 The funeral home was established in 1936 by Clement J. Ryan Sr.; the original building, a brown brick bungalow, was located at 120 South Northwest Highway, where today's current facility now stands. The first year in business, Clem Sr. waited nine months to handle his first funeral, and he provided services for only two people the entire year. To make ends meet, he worked as a "trade embalmer" when needed at area funeral homes. His wife Luella worked as a registered nurse at St. Elizabeth Hospital in Chicago. Despite the demands of the profession, Clem Sr. and Luella raised 3 children, Marowyn, Clem Jr. and Margaret. Additionally, Clem Sr. also established the first ambulance service in the area in 1950. The ambulance service flourished for over 25 years; at its peak, it was answering 1,500 calls per year. In 1987, Clem Sr. died at the age of 83. His wife Luella died in 1992 at the age of 93. By then, Clem Jr., who had been involved in the operations of the home since he was boy, was familiar with the operations of the home and subsequently took over operations of the business. Clem Jr. had already graduated from the University of Illinois and had served a year in the U.S. Army. He began attending Worsham College of Mortuary Service while working at the home full-time. Soon after, Clem married Rosemary La Forte of Park Ridge. They soon began their own family with 4 children, David, Daniel, Cristen, and Michael. Clem Jr. also became involved in a variety of community organizations; it was a way for him to not only meet new people, but more importantly, give back to the community. Clem was eventually joined in the business by his youngest son, Michael, in 1993. Now in their third generation of service, the Ryan family is proud of their heritage of personal commitment and community involvement. They gladly share that tradition with every family who honors them by selecting their services.